That’s right! 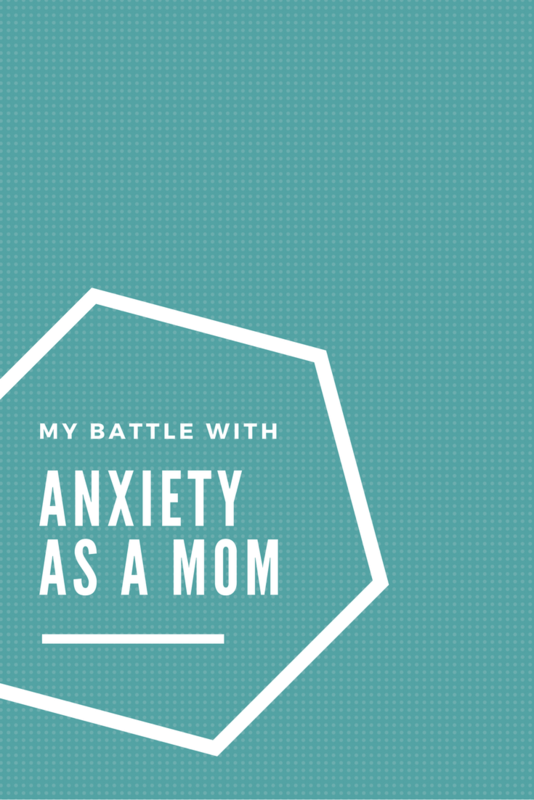 I’m talking about a giant/enormous/consuming/crazy emotion I call Mom Anxiety. I never considered myself a worrier before becoming a mom. Did bad things happen in the world? Yes. Could something bad happen to me? Or to someone I love? Yes. Did it keep me up every night? Nope. Did I obsess over it every. single. day? Not really. But it’s crazy, because the more I’ve learned about anxiety, the more I’ve realized that I’ve never lived a “normal” life. While my anxiety never kept me up at night, it did keep me from leaving the house. It kept me from large groups and public places. It kept me from leaving my apartment after dark. I’ve never been carefree. From as early as I could remember, I’ve had unrealistic worry about everyday things. I always just thought that was part of my personality. I was afraid of the dark. I was afraid of what could happen in a large group of people. I was afraid of my house catching on fire. But I never realized that I obsessed over these things. Until I became a mom. 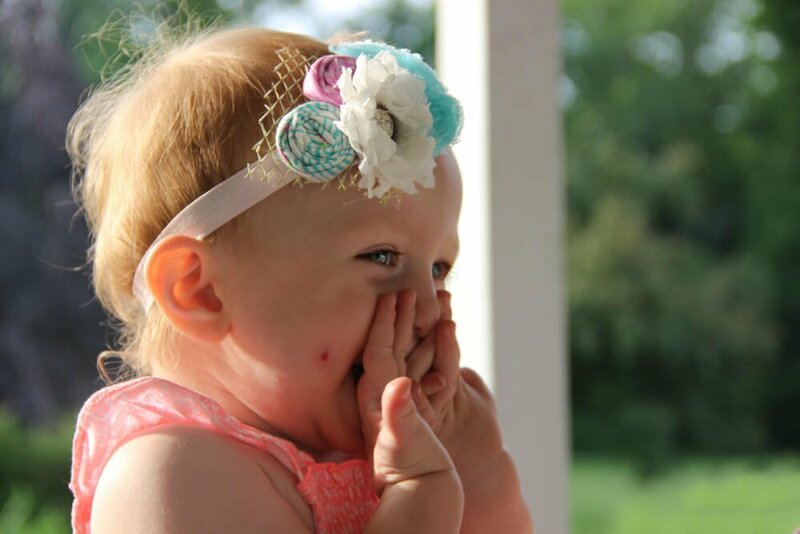 Once Blaire was born, the worry shifted to whether or not she was breathing. Is she sleeping enough?, Is she sleeping too much?, Is she sleeping in a position that’s going to make her head flat? So. many. worries. And as your child becomes mobile? More and more to worry about. Blaire didn’t sleep in her own room until she was 10 months old. And it had nothing to do with what she wanted… I just felt she was safer in our room. Hell, I still feel like she’s safer in our room. When she’s asleep in her own bed, I can’t shut my brain off… What if she stops breathing?, What if someone breaks in?, What if there is a fire?, What if she gets sick? Are you sensing a pattern? My life is a flurry of what-ifs and worst-case scenarios. At any given moment I am worried about the million different things that could happen to Blaire, Jason or our family and friends. Then there are the tragic stories all around. On the news, online, something that’s happened to a friend of a friend. These are stories I cannot forget. These are stories I obsessed over for days, weeks, or even months. I feel for these parents I’ve never met. Parents I will never meet. It’s scary and it’s stressful. And it breaks my heart. It keeps me up at night. I pray to not know that hurt, that anger, that stress of going through a horrible tragedy. At first I blamed it on Facebook. It seemed like it was one of my biggest channels for stress and anxiety. Every time I checked my newsfeed there was something terrible or negative to read about. Whether it’s a sick baby, or a mother who was tragically killed… there’s truly no end to the negative, scary scenarios out there. To combat the anxiety I had every time I checked my newsfeed, I ended up unliking a lot of news outlets (and even Cosmo magazine! ), to help cut down on the amount of tragedies I see on my newsfeed. But it’s truly something I can’t get away from. I’ve found I can make myself anxious over things that I dream up in my own head, just as much as I can about real-life stories from the news. The positive of this whole situation is it reminds me to cherish every single moment with Blaire (and everyone else I love, for that matter). For the longest time, I’ve thought I was crazy. But now I know I’m not the only one. Anxiety effects 18% of the population, but it’s always been taboo for people to talk about. Well thank God that has changed, because being aware of my issues has definitely helped me learn how to control them. Does being a mom make you an anxious, nervous mess? If so, how do you deal with it? Updated March 2016 and again July 2016. You are not alone! I actually blog about my anxiety. The best resource for me have been books by Dr. Claire weekes. Seriously so helpful! Hi Christina! What’s your blog? I’d LOVE to check it out. And I’ll have to check out her books, too! Thank you! Great, honest post. You are definitely not alone. 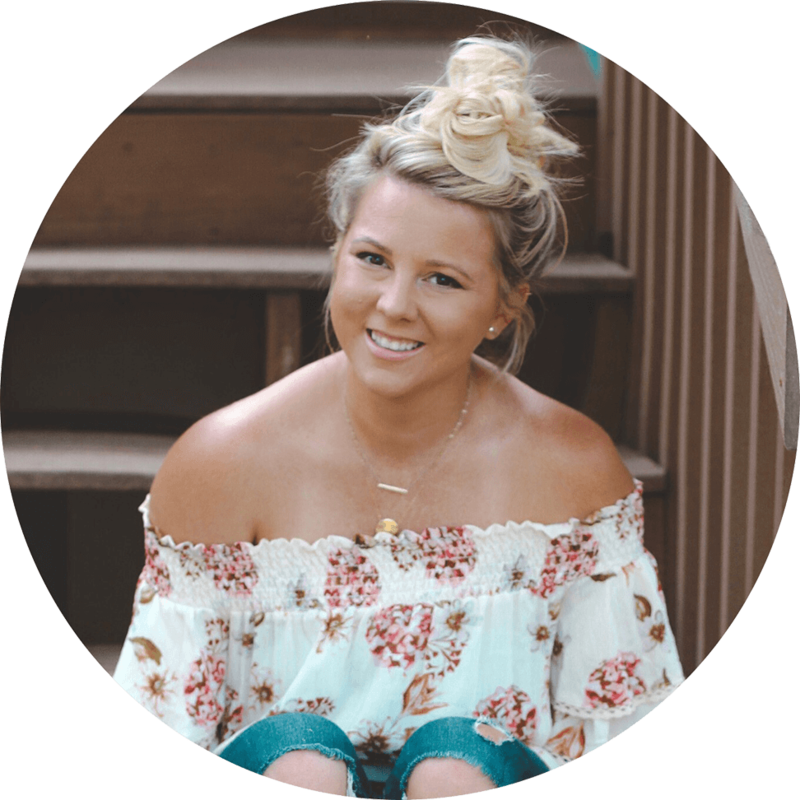 I have always been a worrier and come from a long line of worriers, but my anxiety spiked once I had to deal with infertility and high risk pregnancies. Being a parent is the hardest job in the world, and all the social media and news keep information in our face 24/7. I love how you are trying to focus on gratitude amongst all the stress. That’s what we have to do. Enjoy every minute!